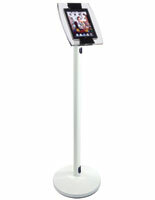 This floor stand for ipad that has a sleek acrylic enclosure suits the modern nature of tablet displays. 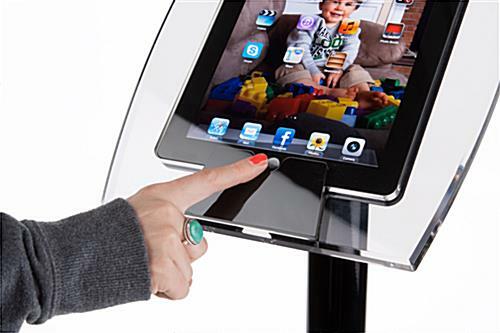 Customers can engage with this marketing device by being in control of the content being viewed on the touch screen presentation. 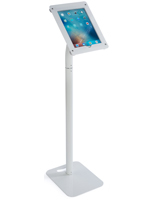 This adjustable enclosure, floor stand for ipad that accommodates generation 2, 3 and 4 Apple® tablets is ideal for commercial businesses such as retail stores. These tablet holders let the user choose whether or not the home button should be exposed or hidden on the tablet with the well-designed enclosure. 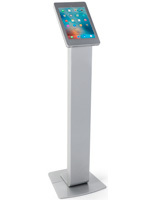 This floor stand for ipad that is at an ideal height displays the tablet at 40-1/4"h. These retail displays have many great features, making them a great value! 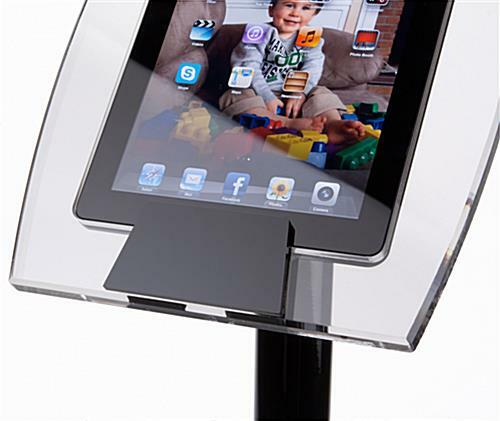 This floor stand for ipad comes with the option to purchase a Kensington security slot adapter kit. 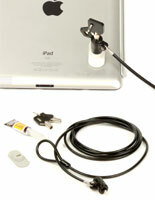 This adapter mounts directly onto a tablet with permanent super glue and the enclosure has a space designed to fit the kit. 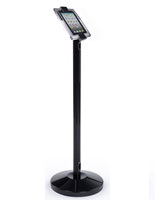 This floor stand for ipad is equipped with an adjustable mounting bracket. These tablet mounts are stable with a weighted base. 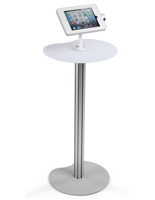 This floor stand for ipad comes with everything needed to assemble.